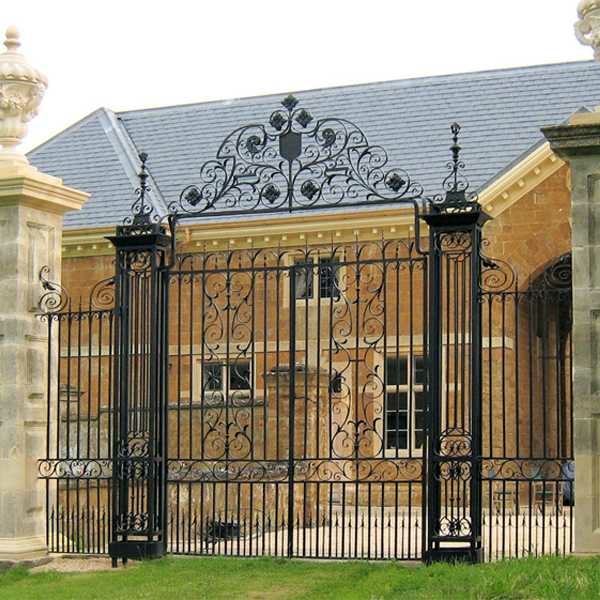 This large wrought iron door was made for our French client, Jemma, who runs a project called CHATEAU BAVOLIER, a beautiful vacation estate. 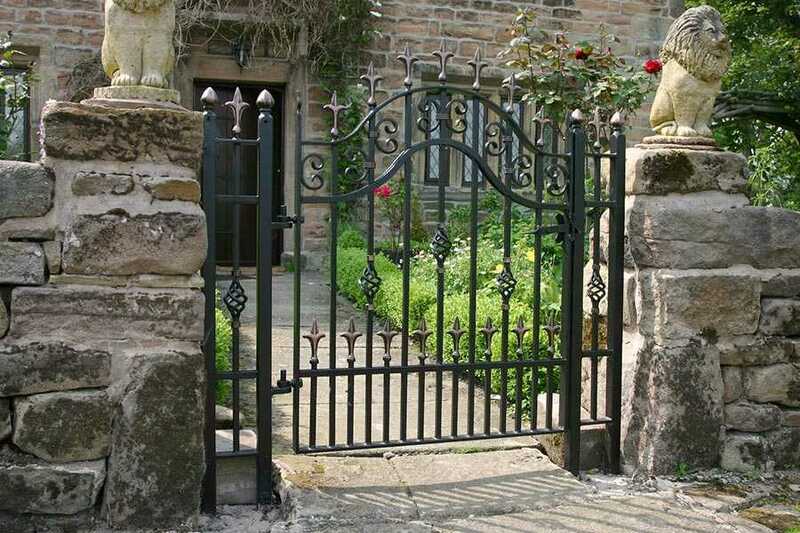 Jemma contacted us on the website and told us that he wanted to buy a big iron gate and some steel fences and other items for one of his projects. 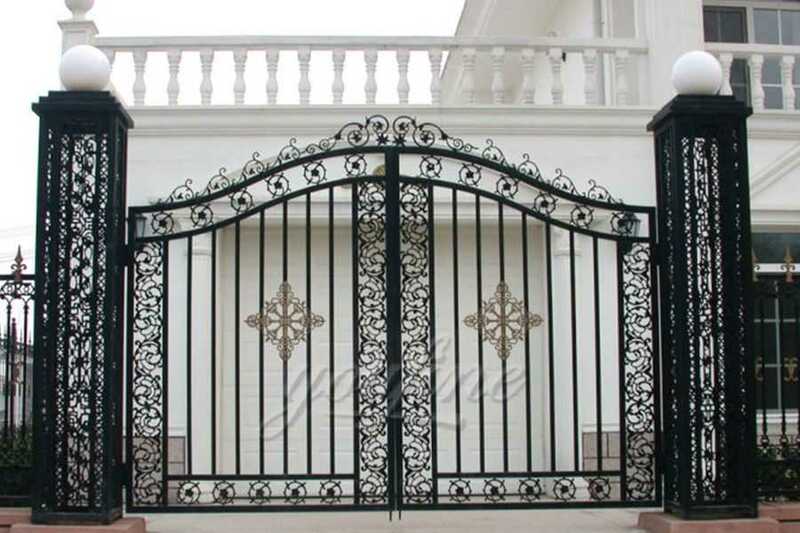 He gave us the design of the Iron Gate, which is a beautiful and classic design and we are easy to make. 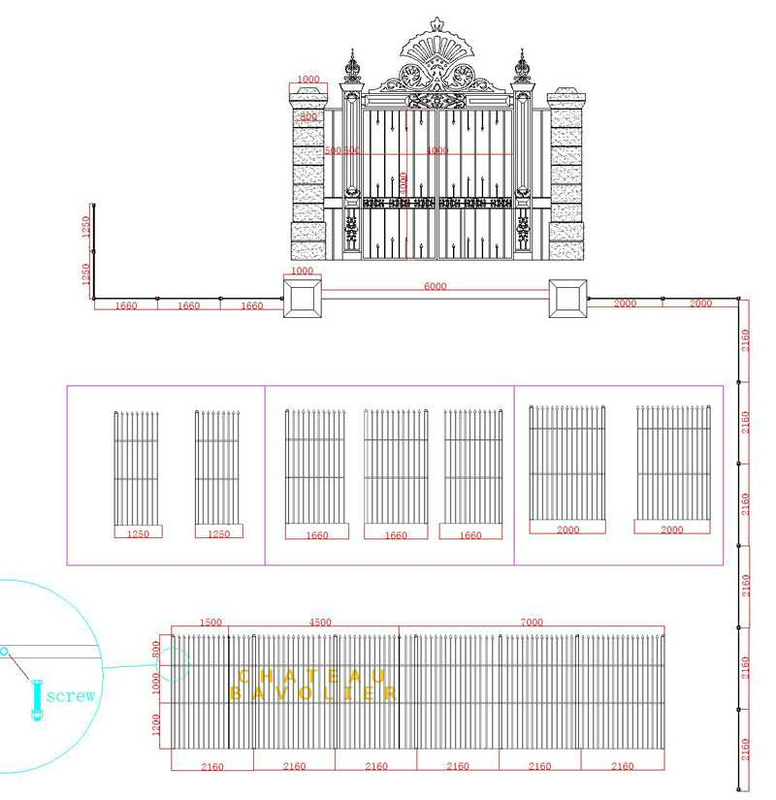 We also discussed the design of the iron fence and some details.The final size is 24.5 meters long. Everything went well, we sent the finished piece of iron to Jemma. He said it was very good. Then we picked up the iron fence and transported it to him. 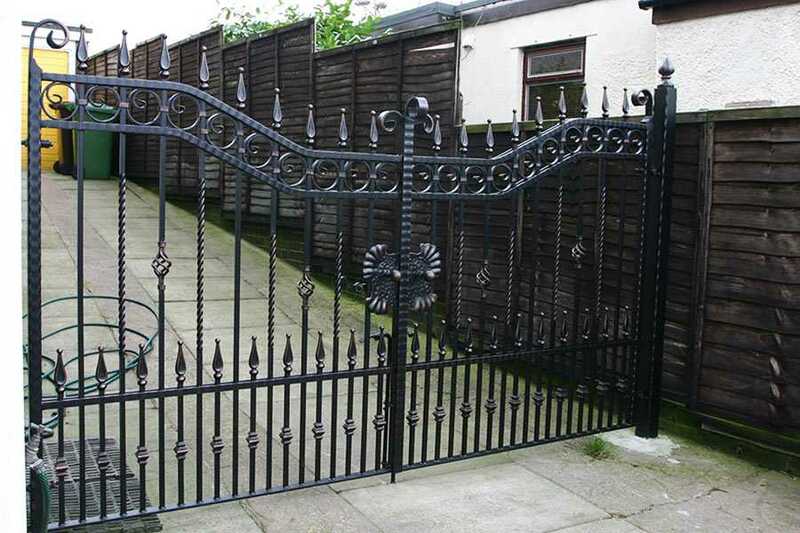 About one month later,Jemma told me he received his gate and fence. he said everything is perfect and he is very excited. 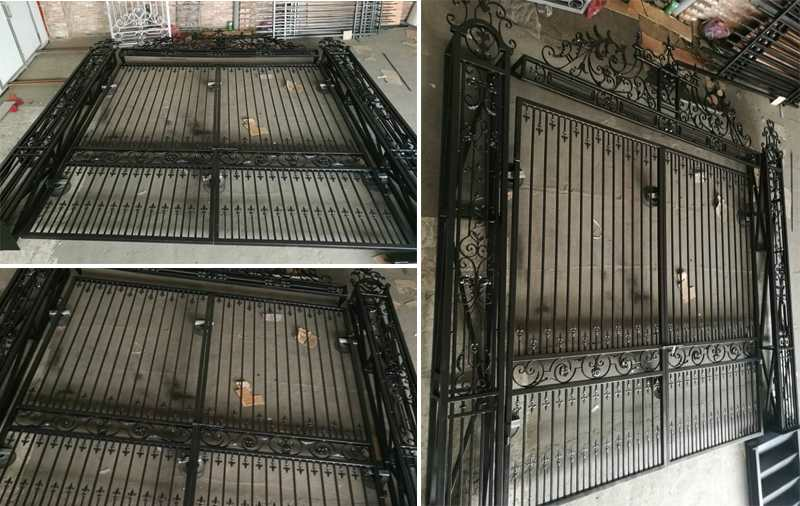 After several days later, he begin to install the gate and take a group picture with the iron gate! 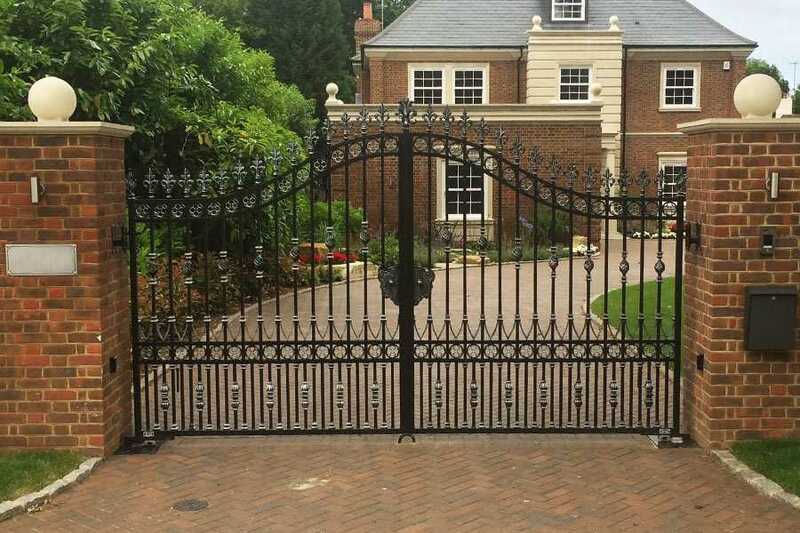 We work closely with our clients to deliver a final product that exceeds expectations and compliments your property. Our responsive approach allows us to manage the process flawlessly, meet desired timelines and address feedback appropriately. 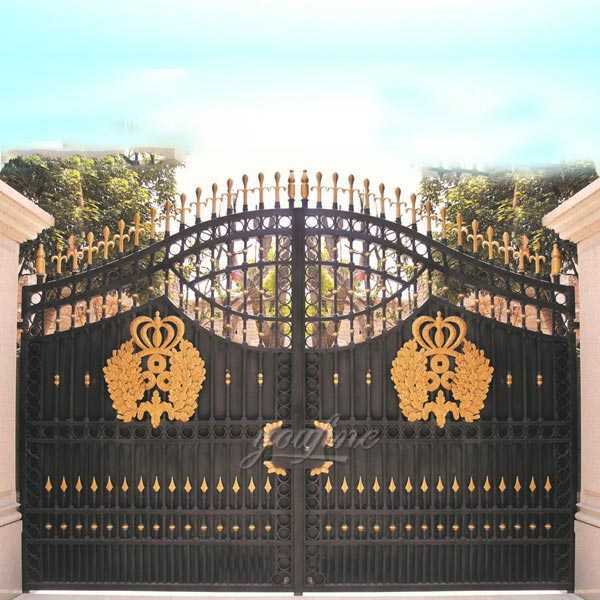 Integrity, honesty and creativity are our guiding principles and ensure an enjoyable experience and superior wrought iron gate & fencing solutions that perfectly suit our clients’ needs. 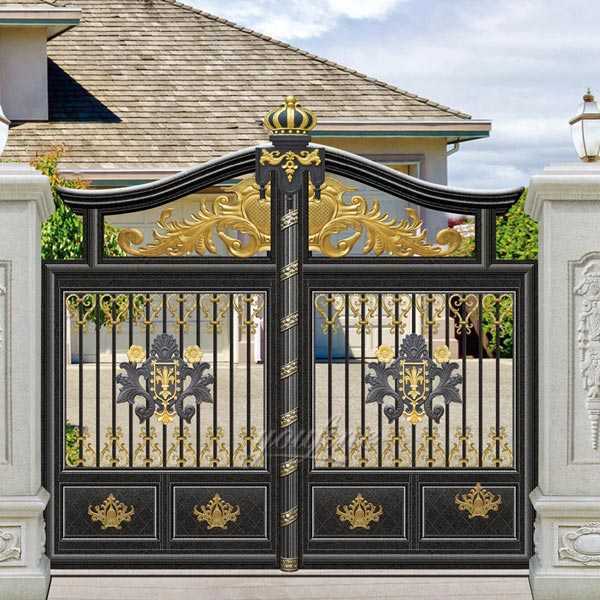 So if you have some requirement large wrought iron gate for your entrance or garden,please contact with us,for wrought iron gate we are professional !